The History, Population and Major Occupation of Cameroon Ebolowa people. Major Occupations of the Ebolowa Population and Ebolowa People. 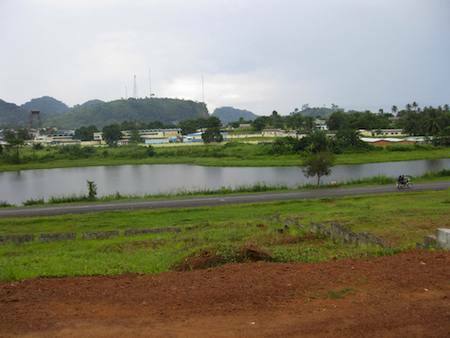 About Cameroon Ebolowa - Its History, Population and Major Occupations in Ebolowa, Cameroon. Cameroon Ebolowa host local sawmills for timber logging industry and an Agricultural school that seeks ways of scientifically improving African staple foods (e.g Corn), Cocoa, and oil palms. Ebolowa may not be your typical city town, but it offers a local hospital, a museum and an airport to its 1000, 000 inhabitants. 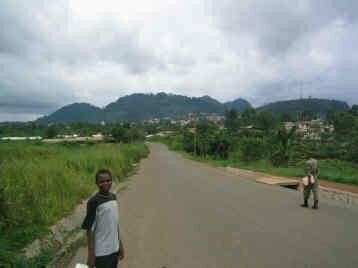 With regards to the history of Cameroon, Ebolowa is a colonial town, heavily used by the colonial masters for their trade routes. EBOLOWA & CAMEROON On a sad note, Ebolowa hit headline news worldwide on May 6th 2007 when the search for the wreckage of Kenya Airways Flight 507 was focused on the area of Ebolowa. 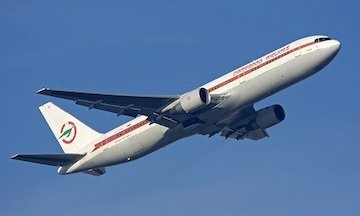 The flight from Abidjan, Ivory Coast made a brief layover at Douala International Airport, (DLA) Cameroon en route to Nairobi, kenya. If you seek to connect with local lifestyle and see what it is like to live in the rainforest of Ebolowa, Cameroon (and even meet Pygmies), then consider using the services of the locals. The locals are trained as guides to the Atlantic Littoral Evergreen Forest, national parks and game reserve areas. 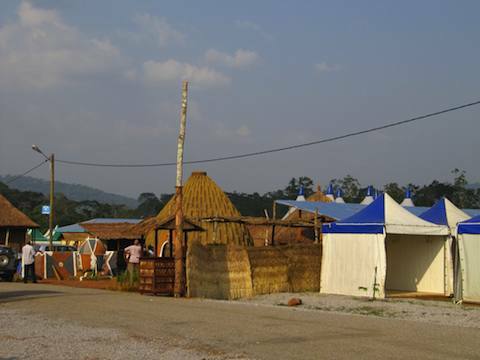 This is an excellent way for you gain first hand insight into forest and Cameroonian village life while greatly supporting the local inhabitants of Ebolowa region rather than the alternate standard tourist sites (if thats what you are looking for). The rainforest of Ebolowa is in many ways virgin and has not been developed as a touristic destination making one of Cameroon's cherish bio-ecological destination and a paradise for eco-lovers. For this reason, you will need to bring your own provisions and essentials such as water, water filters, mosquito nets, sleeping sheets, and other necessities, just as the professionals do. If you do have further question about Ebolowa, let our experts know and they will be happy to help you out. Use the form provided below to ask you questions. On the other hand, if you do have pictures, travel experiences and stories of your Cameroon travel and vacation to share , then please, by all means, use the form below to share with us. We would love to hear from you and see your beautiful pictures.